Denny Jump (Bellevue, WA, United States) on 22 October 2012 in Landscape & Rural. On the rainiest of days in Vermont where we were visiting our daughter Amy and her family, the sun pulled one of it's good old Seattle tricks: Rain lasting almost all day long. Then, just at the end of day, out it comes, making an appearance through the clouds to pull one of its patented, "beams, colour, reflection, rays, dark here-light there" stunts!....Just like Seattle, but here we were in Vermont. A reddish hue was cast upon glow the far trees and it sent a soft pink reflection onto the clouds above in such an amazing way. Mother Nature definitely knows how to put on a show. Gorgeous colours, Denny. Love it! The last tracks of the light of a falling day are often marvellous and not so easy to catch. You succeed admirably here. the tones are wonderful. Wonderful colours Denny, particularly in that small bunch of trees in the centre. Wow, the clouds and light are incredible, Denny! 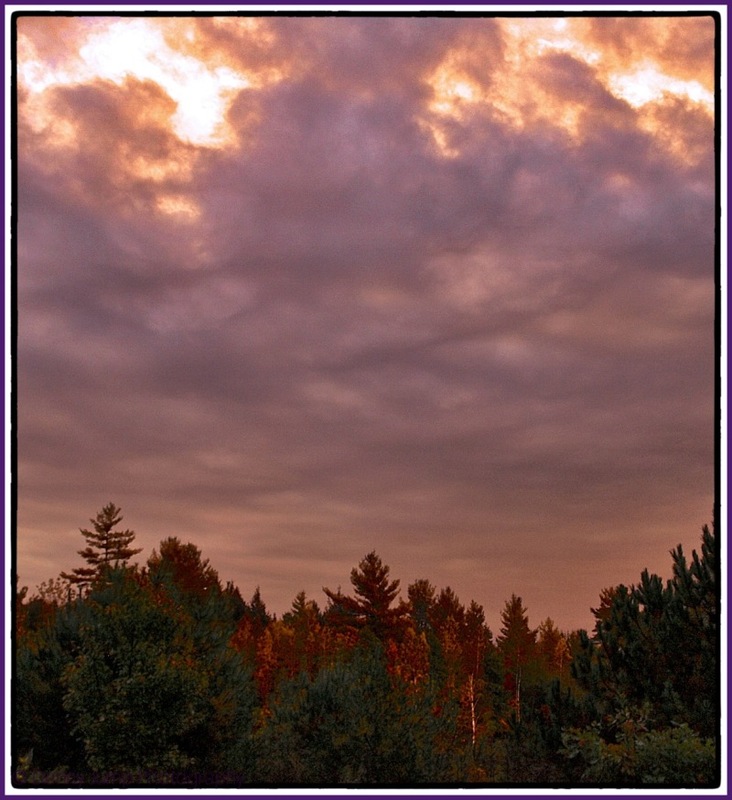 Great vertical framing with the Autumn colors and a very cool sky. Well done! What a beautiful capture, Denny. "All good things come to those who wait!" Very beautiful show, and you captured it perfectly! The colours in the sky and of the trees are magnificent. Such lovely light on this cloudy day. I love how the sunlight warms the autumnal colors here beautifully! Gorgeous color! This is beautiful Denny! Wonderful light and color notes here, buddy.